1. Click on the schedule tabs above to see which classes/session you would like to attend! Remember, you can take classes out of different sessions! 3. Arrive 30 minutes early the first day of class to do paperwork and payment. Our Program is in-depth and thoroughly covers all required Ohio Driver Training Curriculum. Each student will receive an outline that covers each classes materials. Parents are able to see exactly what we are learning! We consider it of prime importance that parents are an active part of their child's education. We believe that by all of us working together, we can make this learning process successful! Students may begin classes ANY day, and then be done in 2 weeks (if they start at the beginning of a session) or on their own schedule! Take classes in any order as long as all 6 are completed. Remember, students may begin class at 15 & 5 months of age! Drive in weeks (after full payment), no waiting list for 4-6+ months to drive or be scheduled. We pick students up and drop them back off (live within 20 minute radius of our location) or we have meeting locations for students further away! So less hassle for parents! Maneuverability made easy! Tuition is $325.00, start classes with $100.00 down! Tuition includes 24 hrs of classroom instruction & 8 hours of BTW (Behind-the-Wheel Training) with an instructor. Perfect Gift for a teenager! Buy now and use it later! No expiration! 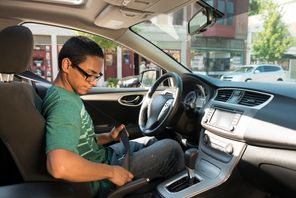 Superior Driving Academy is a licensed driver education program dedicated to offering comprehensive safe driving instruction for all ages (beginning at 15 & 5 months old) in Richland County and other surrounding counties. 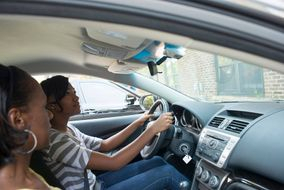 Students may not attend class and drive with an instructor on the same day. Be Alert! Be a Defensive Driver! Speeding is one of the leading causes of collisions.